The Australian Catholic Council for Employment Relations has told the Fair Work Commission that the minimum wage is “manifestly inadequate” and hundreds of thousands of families are living in or threatened by poverty. 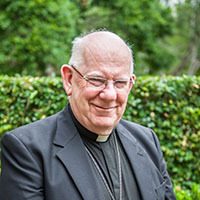 The ACCER, the Australian Catholic Bishops Conference agency focused on employment matters, has told the Fair Work Commission that its view on wage levels is based on Catholic social teaching, which holds that workers “have the right to wages that will support themselves and their families at a decent standard of living”. It has argued that this right is an internationally recognised human right and that it is also recognised in the minimum wages provisions of the Fair Work Act 2009, under which the national minimum wage and award minimum wage rates are set. The national minimum wage, as it is currently set, is not delivering that standard of living and low-income families are suffering as a result, ACCER explained. Evidence presented in the ACCER submission shows that a full-time job on the national minimum wage in the average two-parent family with children leaves the family in poverty and that the average sole-parent family is left even worse off, because most sole parents have to work part-time. “The level and depth of child poverty in working families is scandalous,” the ACCER submission says. “It is scandalous because Australia can do better and because it is, to a substantial degree, the result of wage decisions of national wage-setting tribunals over the past two decades which have cut the relative wages of minimum wage-dependent workers. The ACCER submission recommended a significant increase in the minimum wage rates covering low-paid workers and said that any increases endorsed by the Fair Work Commission should disproportionately benefit those on low wages, including those earning the national minimum wage. Bishop Gerard Holohan, the Bishops’ Delegate for Employment Relations, said it is time for all major parties to commit to wage-setting policies that help support the many individuals and families that are struggling to make ends meet. “We have seen the minimum wage fall sharply in recent years, relative to the median wage – from more than 60 per cent of the median wage to less than 55 per cent,” he explained. In its submission, the ACCER calls for an increase in the national minimum wage of $40.10 per week, to take it to $735.00 per week. Such an increase would be a “first step” in helping to adjust the rate to meet the objective of the national minimum wage and provide the average Australian family with a decent standard of living. The ACCER submission argues that the setting of a poverty wage can have the effect of forcing the full-time breadwinner in two-parent families to work overtime or get another job. It can also place pressure on a stay-at-home parent to obtain employment. Poverty wages deny parents an effective choice as to how they exercise their family responsibilities, ACCER explains. When parents choose to undertake more employment, it should be to improve the family’s finances, not merely to escape poverty and achieve a decent standard of living. ACCER points out in its submission that as the employer of 220,000 people in various ministries, the Catholic Church is among the largest employers in the country. The Church, therefore, has a significant interest in ensuring that workers receive fair remuneration. This entry was posted in Uncategorized on May 11, 2018 by ACBC Communications.